A strong education includes developing an understanding of the world around you. 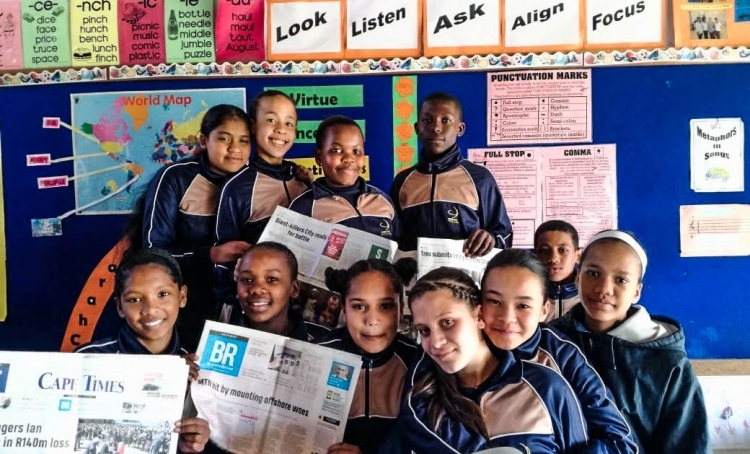 Christel House South Africa (CHSA) is encouraging students to connect with what’s happening in their local communities and current events as part of the annual Cape Town Rotary Quiz. The competition encourages learners to read local newspapers and online sources every day to prepare. Teachers use the competition to improve student reading, research, comprehension and technology skills. “Our learners are enthusiastic,” says Wendy Woolf, CHSA teacher/coach. “The Dell computer tablets available are very helpful, enabling students to do lots of research.” The CHSA team did well in the current events quiz, placing a competitive fourth against ten other schools.